VICTORIA – An audit of three non-renewable forest licences in the Kamloops Forest District found they met the requirements of the Forest and Range Practices Act, according to a report released today. The three licences, held by Tk’Emlupsemc Forestry Development Corporation (Tk’Emlups) (A80706), the Ashcroft Indian Band (A81385) and the Neskonlith Indian Band (A83410) operate under the Kamloops Land and Resource Management Plan, which provides direction from government on how to manage public lands and resources within the plan area. “Most of the harvest was of beetle-attacked lodgepole pine and fire damaged stands, and, the three licensees fully met their obligations,” said board chair Al Gorley. 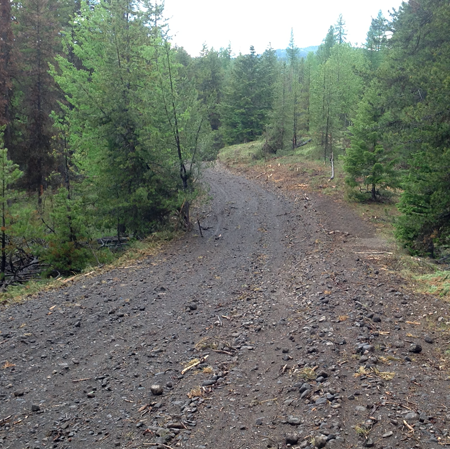 The board examined activities for compliance with legislation, looking at harvesting, road construction and maintenance, silviculture, fire preparedness, fire protection activities and associated planning. The three NRFLs have a combined allowable annual cut of 83,575 cubic metres. During the two-year period of this audit, 146,014 cubic metres were harvested under these licences.